"I bet I can guess two things you're thinking right now. Yes, I married up, and yes, we make beautiful children! Our family loves to laugh hard, play hard and live life to the fullest. The good news for you is, that and many of our clients become our extended family." "Such great pictures!!! I can't believe how good they are!! You're amazing Brett!!" "Brett and Alicia, Thank you for capturing every beautiful moment of our wedding day. You both have such wonderful personalities and went above and beyond on our special day." and we are so happy with our beautiful photos and album. Thank you!" "Brett and his team did an awesome job at my wedding this last weekend!! Exceeding my expectations. He caught the most beautiful moments and I even got some pictures that night posted online!! I couldn't have asked for a better photographer!!" "When my husband and I were married in the Fresno area almost 2 years ago, we came across Brett and Alicia's ad for AAP on Facebook. Within 5 minutes of meeting Brett we were"SOLD". They were both so friendly, so professional and so comfortable to work with. (For you brides out there... You know how important that is!) By wedding day, they felt like family to us and they did a fantastic job on the wedding photos. As weird as it may sound, they were able to capture those little things without feeling like you had paparazzi at your affair. Yet they made certain to get all the important things that a couple would expect as well! (Emphatic 2 thumbs up!!) To this day we have remained friends. I am thankful for the power of technology and it having"worked it's magic"
"My husband and I just wanted to say Thank you for your awesome work on our Susie's day, you were both there doing what you do, but in the process, by making her relax, feel beautiful and stress free. The day was made even more special by your involvement. Your work is awesome, we are so thankful we chose you to be our photographers. You truly love the work that you do, and it shows, thank you both very much! proofs for us to choose from. We are so happy with the photos she took!" "So beautiful!! Thank you Ambient Art !!! You were wonderful"
-Janet A (mother of the bride). sizes. We are very happy with the project! good shots to edit to developing at the right places for the perfect picture!" personalities make it even more special ... Will never for get it as parents. It was like you were family friends ... Thanks so much !!!" detail and every priceless moment at my wedding. It was such a memorable night and I can re-live it through their amazing photographs! Thanks again Brett & Alicia!" day the best day ever!" "Both Brett and his wife Alicia are amazing photographers! We picked them to photograph our daughter's June 22, 2014th wedding, and I'm so happy we did! This wasn't just a one day shoot. They were involved in engagement photos, a special photo album for the groom, and more. On the day of the wedding, they were both there early. Alicia stayed with my daughter while she was getting dressed. She took many photos of family & friends who were there as well. She even helped with my daughter's make up! Both Brett and Alicia were so accomplished, they helped put everyone at ease. They were fun & interesting to talk to, which also helped to make this special day run smoothly. They arrived early, and stayed late...We've had a chance to see a few pictures and they are gorgeous! I highly recommend them, and will be sure to tell everyone I know just how incredible this duo is!" I have been using digital cameras for well over 17 years now and I love to stay up on the cutting edge of creative lighting, using the best equipment money can buy and continue to study with the best photographers in the world. Photography is my full-time job. My wife (Alicia) and I, have trained extensively with Jerry Ghionis (considered by many, to be the best wedding photographer in the World). Emulating his mix of photo-journalistic images, evoking emotion in your subject and helping brides & grooms look amazing with posing and creative lighting sets us apart as we continue to create our own style. 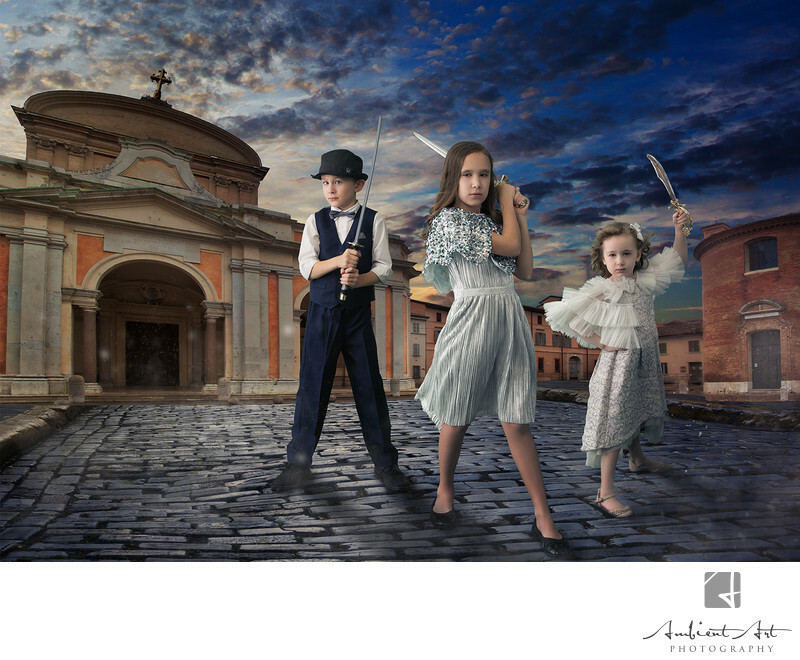 We have also spent time studying in Italy with JB Salle (the second most awarded Wedding photographer). As well as every year invest a week helping with most prestigious print competition of the year WPPI, (rubbing shoulders and taking classes from the best photographers in the world. We are always learning new things and striving to be the best we can be for our clients. I'm also the "House" photographer for the Fresno Convention Center, Selland Arena, Saroyan Theater, as well as the photographer for the Fresno Chamber of Commerce. Alicia has quickly become an accomplished photographer and brings a love for art and a feminine touch to everything she captures. She is the second photographer at our weddings and shoots many of our infant and family sessions as well as of our Boudoir/Fine Art Portraits/Pinup sessions. Her work can be seen in our Boudoir gallery and on her site. AAPBeauty She has studied with the best Woman's portrait photographer alive, Sue Bryce. Our mission is to offer our clients the best wedding, portrait, event, commercial photography available in the Central Valley, at a price you can afford and to create artwork and lasting memories for our clients that will be cherished for generations to come. What makes us different is that every image we create is thought out and edited to capture the beauty of the most important moments in life. We don't just take "snap shots" and burn them on a disk. We pay attention to every detail and we create art for you, that will last a lifetime. All of our finished images are retouched. Digital photos are nothing more than pixels and we will tweak them to make you look your best, without making you look fake. No more dark rings under your eyes, skin blemishes or distracting elements in your photos. And we don't just blur out your skin like amateurs, we use high end retouching techniques that are used in the fashion industry. You will also notice beautiful blue skies in many of our images. Not the airy, fairy, white ones many are producing these days. This is a fad that will be very dated in a few years.